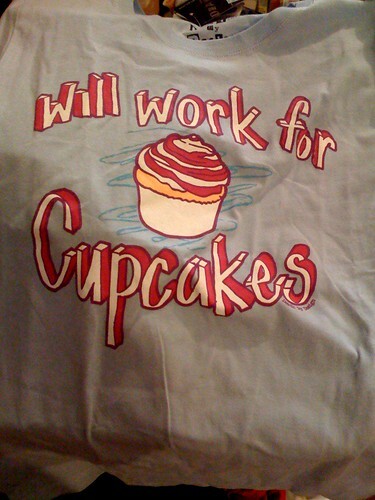 Despite owning at least a dozen cupcake t-shirts, I couldn't resist snapping this one up when I saw it at Ricky's (a drugstore/makeup store) the other day. It was $19.95. Cute, right?